If you make $2, save one and spend the other. It’s a simple proclamation, but one that Kevin Hruska has stood by his entire life. It’s how he went from having a Grade 10 education to owning a 45,000-acre farm, a manufacturing company and the ability to retire whenever the mood may strike him. However, this was not handed down to the 54-year-old Gerald, Sask. entrepreneur. Growing up on a tiny family farm, Hruska had a penchant for using his hands, which made sitting in a classroom rather dull. His foray into 4-H at age 10 was the catalyst for a lifetime of learning, risk taking and trusting your gut. His love of 4-H was spurred on by mentor Bernie Mikolas, whom Hruska still considers a close friend. The young farm boy tried his hand at just about everything the club offered including welding, carpentry, automotive works, beef and outdoor adventures. And so began Hruska knowing the power and value of both a dollar and hard work. That didn’t sit well with a young Hruska, who, at 16, was taking a more aggressive approach to farming than his father. “I started making the decisions, so he backed away. How he helped me was not compete with me,” he says. At 18, Hruska bought one-and-a-half quarters of land independent of his father, eventually buying him out. Alongside morphing into a fully-fledged farmer, Hruska also became a journeyman welder by the time his high school friends graduated. At 19, he officially started his company, Bridgeview Manufacturing Inc., although he began working and selling wares by age 12, creating just about anything he was approached to build and even made his own chicken pluckers. The first Bridgeview employee, Raymond Helmeczi, still works at the shop today, but now as the director of the company’s research and development department. From the moment Bridgeview opened, it has been inextricably linked to the farm. You cannot talk about farming without mentioning machinery in Hruska’s world; it’s just not possible. 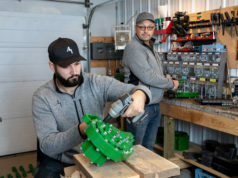 As the shop expanded, he sunk more time and effort into the farm and he believed that scaling up was the only way to make a go of it as a farmer in southern Saskatchewan. Larger farms in his area couldn’t make payments and families had to get out of business. While the price was far too high for potential buyers, it was not for Hruska. His business logo is an outstretched arm grabbing four stalks of wheat – symbolic of how he does not pass up good opportunities. In the most recent land crunch, the equity in Hruska’s farmland went up $6 million. “We took some pretty big fast moves, but I’ve been at it 37 years. We didn’t grow overnight; 37 years is not overnight. You can’t sit still and idle in a business. “I was never competing for land until recently. My whole life nobody else was at the table. We went into an area where nobody wanted to farm. We took the good with the bad and developed it,” he says. Hruska recalls one vitriolic exchange with a fellow farmer who called him, among other things, an opportunist. “The success bothered him so much. I said, ‘yes, I’ll take that as a compliment.’ If there’s a bad opportunity, that’s what I should do?” Hruska asks rhetorically with a laugh. As the farm and land base grew, Hruska’s innate curiosity to work smarter led him to start to solve field problems with welding solutions. He created a right-hand discharge for a bale processor and, after seeing that nobody else in the market had created one, he patented it. That wasn’t the only idea Hruska had, though. To his name today, he is the inventor or co-inventor of 18 different Canadian innovations, most of which are machinery features, and all of which are patented. Most relate to making his farming easier and more practical, but he’s not the only one that thinks so. His machinery and patented technology can be found on farms all over the world, including Australia, Russia, Ukraine and the U.S. Currently, Bridgeview creates machinery on-farm in a 70,000-square-foot warehouse. Products of Hruska’s include the Mr. Squeeze cattle chute, a Bale King Bale Processor, a V-rake and the Pulldozer Land Shaper and Scraper. 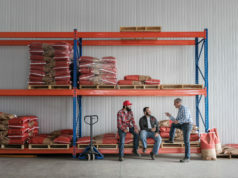 Demand from farmers has been high enough and consistent enough that Bridgeview now boasts a dedicated R&D division to anticipate and create the next helpful feature for farmers. He also manufacturers diesel exhaust fluid (DEF) and can deliver 22,000 litres to a farm each run. The size and scope of the businesses have grown substantially over 37 years, but Hruska’s approach has always remained static. Glazer recalls a time in 1991 when Hruska decided to expand the shop and tentatively secured a loan to do so, however, for circumstances unknown the loan was never advanced. It left Hruska in a lurch and an addition that was still desperately required. On his farm, Hruska still maintains a philosophy that simplicity is best. And, despite farming in the Prairies during a time when beans are more popular than ever, Hruska sticks up his nose. He’s not interested in their long growing season or its frost response. 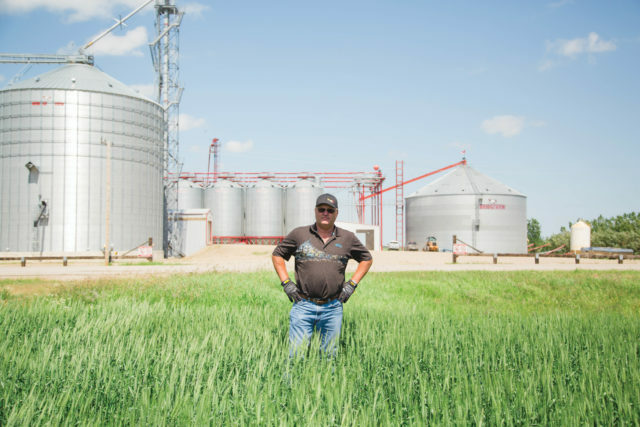 His malting barley preference is AC Metcalfe and these days he’s cutting it down at 26 per cent moisture and custom drying it before selling it to Anheuser-Busch InBev, maker of Budweiser, Corona and Alexander Keith’s. With 45,000 acres of crop, it has to go somewhere. That somewhere is into Hruska’s three-million-bushel storage system. 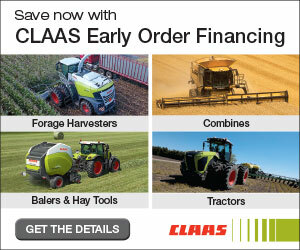 He sells to Louis Dreyfus Commodities and custom stores for the grain handler, as well. Much of his canola oil ends up at the Frito-Lay company, maker of Doritos, Lay’s, Cheetos and many other snack foods. As a result of his regimented crop plan, he’s simply uninterested in blazing trails with other unproven grains and oilseeds. As an extension of his farming, Hruska sits on an advisory panel for a major agriculture company and is seeing first-hand the rise of so-called “smart farming,” a general term for automated processes on farm and precision agriculture. He knows it’s coming, but it may still be as many as 20 years away before there is widespread adoption on all Prairie farms. “It is getting more technical, but you don’t want to get too technical too fast,” he says. Hruska believes it to be a true long-term play possibly of more than 20 years before Western Canada’s fully automated. “The autonomous is going to be real slow coming. I would say go cautiously. Equipment isn’t more efficient if it’s wrapped around a power pole,” he says. It might not be Hruska who is embracing smart farming and digital technology, but perhaps his children. Hruska and his wife Pauline have three boys, “small, medium and large.” The oldest two are involved— Sawyer, 26, manages the farm operations and Cassidy, 24, runs the shop – while at 19, Jade is currently attending post-secondary and not involved in the day-to-day business of either venture. 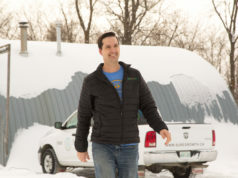 He believes his post-succession role in the farm will be as an “ideas man,” saying it’s instinctive behaviour for him to think of new products and want to create them.